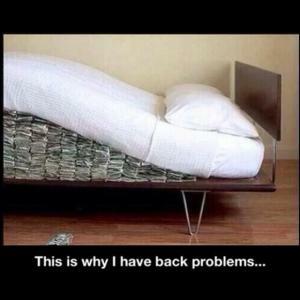 Patient: Doctor, I have a weak back. Doctor: Oh really? When did you start to notice it? Patient: About a week back. Did you hear about the man who was jabbed in the back with a set of keys? His back locked up. 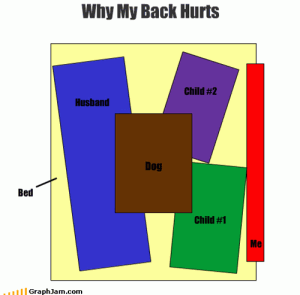 I had an appointment with the chiropractor, but I backed out. Thats What He Gets For Having A Scooter. Husband who sleep on couch last night, have hard time today.